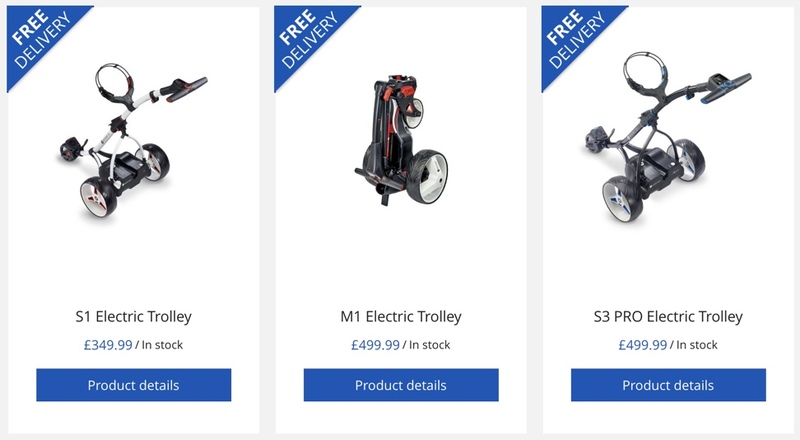 Motocaddy was founded in 2004 with the aim of bringing the very best in design, build and functionality to golfers of all ages and abilities who are looking for reliable and affordable golf trolleys. Since then, Motocaddy has built a strong reputation for the depth of its consumer research and the extent of its investment in product development. Motocaddy also led the drive towards Lithium as the most efficient and cost-effective battery option for powered golf trolleys, while expanding the choice for push trolley users and those looking for matching golf bags and accessories. Growing from these firm foundations, their team has worked hard to produce an award-winning line of electric and push models, available in over 40 countries worldwide, supported by a market-leading customer service team providing any assistance required. 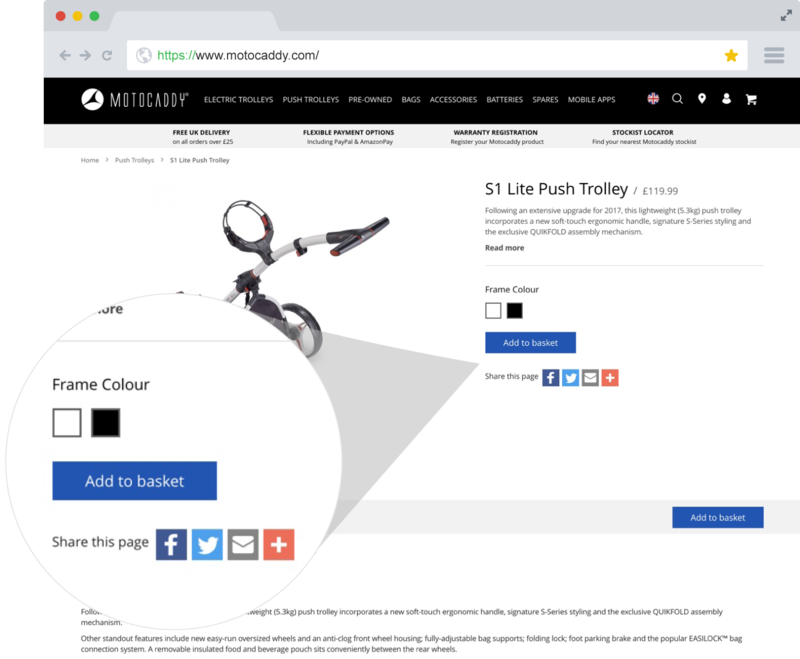 Screen Pages was tasked with creating a website that would showcase the calibre of Motocaddy’s award-winning products. 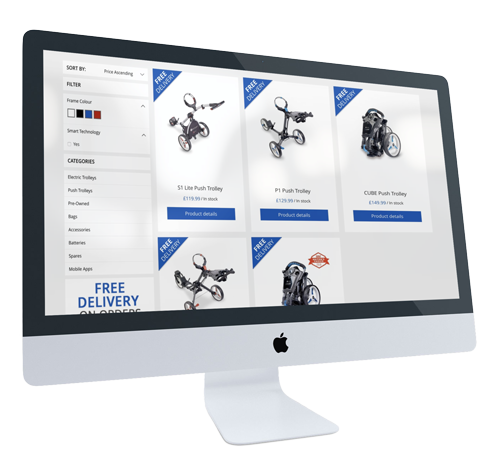 What makes Motocaddy’s site so special is the organisation, management and automation. 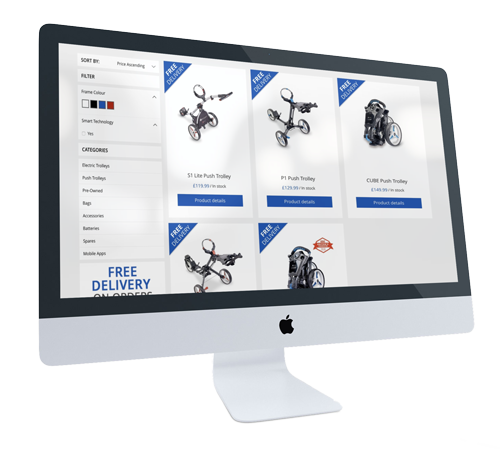 Screen Pages and Motocaddy deliver an irresistible shopping experience at every touchpoint. 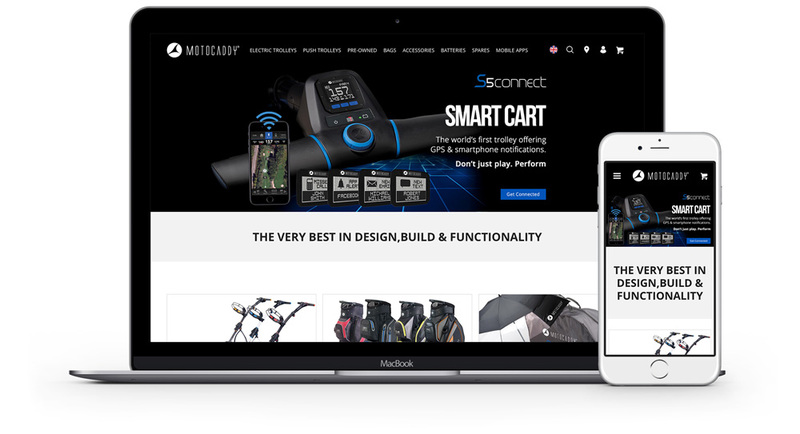 Responsive web design (RWD, also referred to as responsive design) was a key focus for Motocaddy. 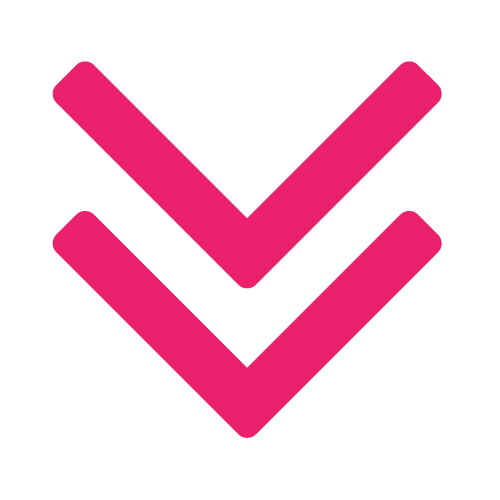 Screen Pages had to ensure an optimal viewing experience across a wide range of devices (from large, high-resolution desktop computer monitors to mobile phones). 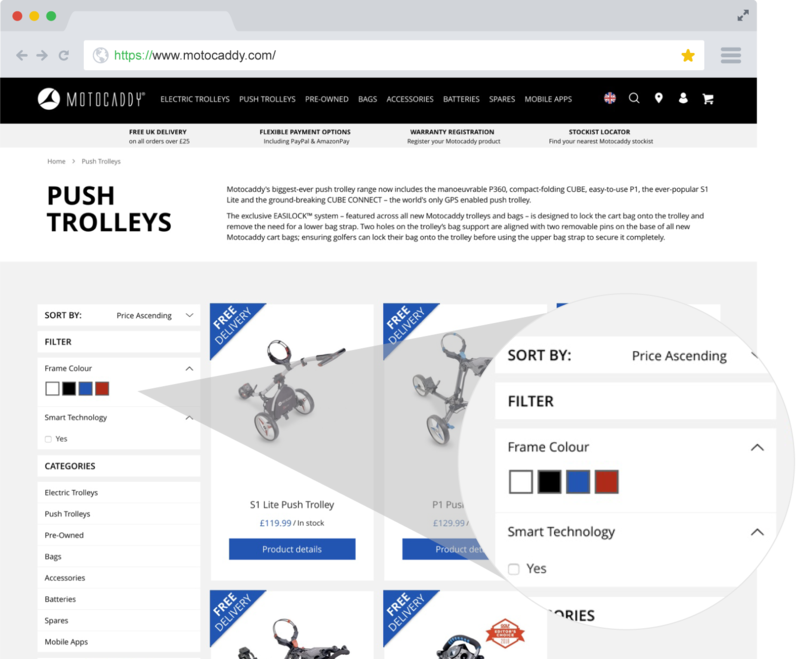 Screen Pages’ objective was to ensure the user eCommerce journey was as streamlined and efficient as possible, whilst maintaining high regard for Motocaddy’s design ethos.